Pune being one of the largest cities in Maharashtra is a modern city and has a lot to offer to the young generation. Pune is one of the best places for music, food and fashion lovers. 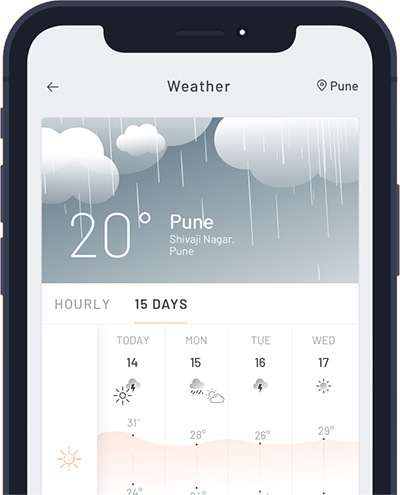 Pune becomes very hot in summer months and slightly cold during winters. Winter months (November to February) are slightly cold and minimums can go below 8°C. Maximums remain in the higher twenties. It is the perfect time to visit the city to enjoy sightseeing. Summers season (March to June) begins in the month of March when day temperatures turn quite high but evenings are quite pleasant. In peak summer day temperatures go up to 40°C. The minimums stay between 20°C to 25°C. It is advisable to avoid visiting Pune during this time; however, you can still enjoy activities like water sports and paragliding. Monsoons (July to October) bring some relief from the scorching heat of summers. Day temperatures remain mild around 30°Cand nights become pleasant between 20°C to 22°C. But don’t forget to carry your rain gear, if you plan to visit Pune during this time as the downpour of rain could get messy. The best time to visit is from July to February. Gandharva Mahotsavmusic concert held in the month of Decemberattracts a lot of music lovers every year. The most important tourist attractions include the Osho Ashram, Shaniwar Wada and Aga Khan Palace.